Lethal Audio recently released Lethal, a crisp-sounding "rompler"-style software instrument with a heavy emphasis on EDM, but which will also be useful for pop, rock, hip-hop, and film scoring. A review of the U-He Hive virtual synth - Hive: Be Careful, It Stings! Hive, the latest instrument from u-he, does not claim the precision of Diva the richness of Zebra 2, or the modularity of Bazille or Ace. No. Hive looks and feels simple, is easy to use, and provides a fat sound. Mission accomplished? 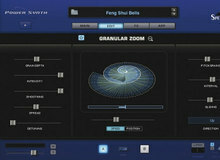 The supply of virtual orchestras has become more and more abundant. There's a seemingly never-ending rise in the number of samples, instruments and content available, in general. But what about how they're used? Sonokinetic has come up with a unique answer with Capriccio. The partnership between artist BT and iZotope has resulted in a new plug-in, the BreakTweaker. Is it just another drum machine or a more advanced tool than it seems? Whenever we deal with a virtual orchestra, we usually end up talking about East West or the Vienna Symphonic Library. However, there are some other publishers that are just as exacting in terms of quality, including one that is gradually underway to creating an imposing orchestra. We are talking about BML by Spitfire Audio.